Isopod crustaceans have developed a variety of feeding strategies, which impact on their various life habits over time. Apart from morphological adaptations and the typical secondary deformations that some parasitic isopods inflict on their host's exoskeleton, traces of feeding behaviours involving isopods on their victim/food are seldom fossilized. Many of these rare occurrences consist of cases for which the degree of association between the isopods and their potential food source is unclear, or the interaction only very briefly explained (recently analysed cases excepted). 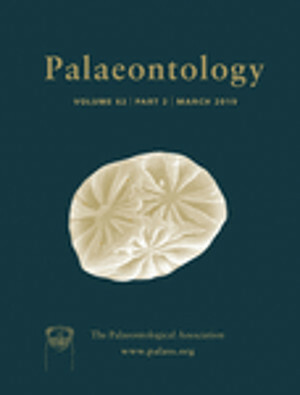 There are two limiting problems in identifying the biological nature of fossilized associations: (1) direct associations of organisms preserved as ‘imprint’ (as opposed to inclusions in cherts or amber) are shaped by several taphonomic events difficult to identify (such as the time of death, burial and fossilization of the organism); (2) even in modern nature, differences within syn vivo interactions (like parasitism and micropredation) are poorly understood in marine systems. We report the occurrence of isopods associated with ancient chondrichthyans which also represent rare cases of the preservation of several fossil isopods on larger organisms. These organisms are adult electric rays of the genus †Titanonarke Carvalho from the late Ypresian (Eocene) of the Monte Postale site, Bolca Lagerstätte, Italy. By examining: (1) the involved lineages of rays and isopods; (2) the taphonomy of the association; (3) its environmental context; and (4) biological/adaptive features; we identify this association as a selective case, either of ancient scavenging or of micropredation on specific electric rays by isopods.